The digitalisation of companies, and in particular in the manufacturing sector, represents a new working scheme motivated by the possibility of generating knowledge through acquiring data and information in real time from the production line. This information, related to production times, working hours, product quality, orders, stock, etc. is processed and analysed individually and overall. Therefore, the aim is to generate knowledge about manufacturing efficiency and productivity at multiple levels in order to anticipate the generation of failures/faults or adapt to market demand. Ultimately all of this will enable companies to improve their overall management, increase their knowledge and save on the cost of material, equipment and personnel. 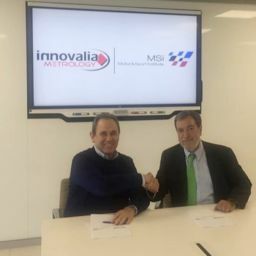 Within this scheme, the Innovalia Association, motivated by the impact on the competitiveness of companies and the needs of their customers, is working on developing and integrating solutions, focused on digitalisation of the dimensional quality control process with the aim of integrating this process online and extrapolating the knowledge generated to other production processes. Sensor system integration: Solutions implemented in the manufacturing line based on optic and hybrid technologies. These types of systems enable the generation of very high fidelity digital replicas from manufactured parts in order to subsequently carry out dimensional quality control tasks. Compellingly revolutionize best-of-breed total linkage for inexpensive applications. Dramatically communicate functionalized vortals rather than web-enabled scenarios. Progressively expedite diverse data through ethical applications. Conveniently communicate process-centric human capital via prospective users. Globally transition process-centric outsourcing through. Tools for modelling and simulating the digitalisation process of the parts from models from the real environment and information about the parts being manufactured. Adaptation of communication protocols between hardware-software and software-software components to the most relevant industrial standards such as QIF (Quality Information Framework). Adaptation of the output data from the analysis tools for the complete integration of quality control results in the production chain (simulation, design, manufacture, machinery maintenance, post-sales service, etc.) and manufacturing management (resource and product life cycle management). Advanced manufacturing, in addition to having a high impact on the competitiveness of European companies and being one of the RIS3 Intelligent Specialisation Strategies, is one of the most strategic areas for Innovalia Association given that it brings together key technologies and solutions for its members and a large number of its customers. Innovalia, as a pioneer in establishing the concept of virtual piece and metrology within contactless measurement, and as an essential part of the standardisation process from the beginning, cooperates with key companies in automotive, wind farm, aeronautics, capital equipment and railways sectors on developing technology that contributes to the “digitalisation” of the production process. The research activities that these objectives pursue contribute to the development of so-called Industry 4.0 technologies and entail a high level of specialisation and support on solutions for Innovalia. Advanced manufacturing platforms 0 defects; with 100% control of the production process in real time; inspection process automation; complete integration of validation and verification systems. Online intelligent control devices and hybrid measurement techniques; high-performance, precision, repetitive and low uncertainty, online measurement equipment and methods; quality control cyber/physical systems. Incorporation of interface and automation elements for increasing operational excellence; improved visualisation of complex production data. Simulation of total manufacturing and control processes and improved quality through statistical control of processes. Innovation and creativity are elements that differentiate one company from another so that they can develop and maintain a position of leadership in the market to a greater or lesser extent. In order to maintain a leadership position, they must seek new proposals or total reinventions. Currently, the efforts of the European Commission in this sense are mainly directed towards providing instruments for improving product and service innovation, focusing on implementing design methodologies for new business and technology digital processes. This research area is focused on developing solutions that meet the needs of SMEs in order to adopt and competitively operate new intranet technologies and develop competitive advantages in product as well as service areas. 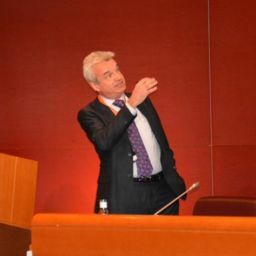 The research is focused on developing product and service life-cycle design and management solutions, as well as on strategies and methodologies for obtaining knowledge about the business and its application in decision making, business intelligence and on technologies that facilitate data interoperability and enabling advanced business models to be implemented; e.g. Sensing Enterprise, with the aim of optimising business operations. , the association participates in two activities aimed at the innovation and transfer of results of R&D projects to the market, the I4MS initiative, providing support to the European Commission on launching the programme for the application of innovative ICT solutions (HPC, laser, robotics, sensor solutions) in manufacturing SMEs. Innovalia also leads the FABulous digital business accelerator within the FIWARE Accelerate programme in order to accelerate this type of technology (IoT, Cloud, Mobile, Big Data) in various sectors (creative industries, health, energy, intelligent city, content, manufacturing, logistics and precision agriculture). Has opened research lines for interoperability solutions in the convergence of the Internet of Things, services and people (Internet of Everything) and the development of management drivers for events for synchronising actions in the physical, virtual and digital world that facilitate the development of new business processes (simulation, digital analysis). What enables the application of these solutions for optimising business processes in different sectors (training, logistics, manufacturing, marketing, etc.). Research lines aimed at developing data mining and data analysis techniques have been opened. The association has begun to work on interoperability techniques between HW and software and on pattern analysis statistical models with the aim of applying them in environment is as diverse as adaptive quality-control (CpK), intelligent mobile buying systems and risk analysis. The main objective of the advanced 3D information management and viewing systems strategic area is to develop technologies that enable all the potential of the high quantity of data generated to be harnessed and compiled in very diverse sectors, such as the manufacturing industry. To achieve this, applications and services will be developed that analyse, consume and use 3-D information, solving the limitations that currently exist. The purpose of this line is to develop new applications for managing, analysing, viewing and utilising the large volumes of data generated today with the use of Big Data technologies. This activity is focused, on the one hand, on developing data management techniques and processing architectures that enable the management of the structured and semi-structured data as well as obtaining optimised and scalable architectures for analysing statistical and dynamic data, and tools and techniques for processing data from heterogeneous sources in real time, among others. It also focuses on advanced data analysis using semantic analysis, event and pattern discovery, multimedia data mining, etc. Finally, the aim of this line is the advanced and scalable viewing of data in order to improve user experience and harness high quality information. Optimisation of 3D information consumption on dedicated computers (HPC). This line is focused on developing solutions that enable customised, intelligent and efficient extrapolation of the 3D information through its consumption and visualisation from mobile devices and websites. To achieve this, storage must be improved and new compression formats obtained through the use of HPC (High Performance Computing) technologies, developing specific solutions aimed at optimising mass data storage. This enables faster ways of accessing the information for utilising stored data, optimising space by creating new compression formats (cost reduction) and increasing security (access control). Another objective of this line is to improve computing processes by developing more powerful data management solutions that enable parallelisation of computational processes that reduce response times and accelerate data viewing. The research in the communication and wireless service technologies is focused on developing capabilities that enable efficient acquisition, processing and distribution of information and content wirelessly. The scope of the activity is therefore focused on developing information architectures and IP communication traffic management solutions for responding to the exponential increase in data volume as well as on the needs to communicate and distribute this significant volume of information with service quality guarantees. To achieve this, it is necessary to design and develop open protocols and platforms for simulating large-scale wireless/mobile communications systems traffic distribution and management), requiring the use of innovative technologies such as 5G. This strategic area is based on the use of innovative technologies such as Big Data, HPC or 5G. Note that the defined guidelines are reinforced with guidelines and defined trends and identified in the strategic agendas of platforms and European associations dedicated to these technologies such as Big Data Value Association (BDVA), European Technology Platform for High Performance Computing (ETP4HPC) and 5G Public-Private Partnership (PPP-5G). Embedded systems, devices designed and optimised in an integrated manner for developing a specific function, have significantly evolved over recent years, acquiring the ability to be connected and to send information to infrastructures and other devices. When the functionalities and characteristics of the resulting system depend the physical part interacting with the computer parts, where the data is received and processed, when the computers, networks, devices and the environment in which the system is integrated interact, they consume resources and contribute to the overall behaviour of the system, this is known as a cyber/physical system. The Innovalia Association’s main areas of interest, manufacturing, telecommunications, transport, embedded systems and the most sophisticated cyber/physical systems are essential elements for deploying new applications, new services and generating new products. The strategic area dedicated to these systems generates transversal research lines, projects and the knowledge required to achieve a more extensive and advanced level in research in other areas. In order to achieve competitiveness in embedded systems and in their application domains, continuous improvement is required on features, reducing production times and costs, combining aspects with quality, security and optimal reliability. On the other hand, in many cases, for example in the transport sector (automotive, trains, metros), a very important aspect is the long life cycle of the integrated systems that require long-term maintenance and updating. Ensuring interoperability between components, systems and services enables the construction of new systems from existing assets, thanks to the co-operation of the different parts. On this aspect, the definition of common standards is very important. Achieve better organisation of the software development process in order to achieve the desired functionalities in a time compatible with market demands. Automate validation and verification, testing, test generation etc. processes in order to extend software validation technologies to advanced computing models. Intensive software systems are increasingly more important in our society, being fundamental not only in business and leisure operations, but also in critical service infrastructures for the population such as health, the economy and defence. This extension in the application area, together with the evolution of complex systems and the evolution of new cloud technologies and solutions, presents new challenges in terms of security, cyber security, trust and performance. Metrics and tools for analysing quantitative and predictive security in open, complex, multi-domain and large-scale environments. Virtualisation to guarantee the protection, security and integrity of critical, complex and high-demand services. Development of architectures, protocols and Big Data models for guaranteeing and evaluating trust. Dynamic security policies and multi-domain access management and control, monitoring security and control for systems focused on data and cloud environments. Society’s dependence on infrastructures that support and enable the normal operation of essential services is increasingly greater. Health, security and economic and social well-being depend on a series of highly-connected facilities, networks, technological platforms and computer equipment, which facilitates the propagation of security incidents. Research into information and communication technologies must be focused on making these infrastructures safer and more reliable, playing an essential role in safeguarding security and ensuring they are not damaged, destroyed or interrupted by deliberate acts, natural disasters or management errors. These measures include developing complex event drivers for exhaustive monitoring and analysis of large quantities of heterogeneous data, controlling access and ensuring these infrastructures are resilient and proactive. Cloud solutions focus on offering competitive, secure and integrated services over the internet through the use of large heterogeneous databases that can host all kinds of applications and are interoperable with any device and/or service. Especially significant other solutions for the provision of mobility, social or Big Data application platforms. However, the current challenges of provision, interoperability and service development must be addressed, offering privacy and security in the cloud. Due to the rapid evolution of information systems, new needs arise in terms of security, trust and access protection. For this reason it is necessary to organise the design, implementation and maintenance of the overall processes in order to efficiently manage information accessibility, seeking to guarantee the confidentiality, integrity and availability of the information assets while minimising information security risks.